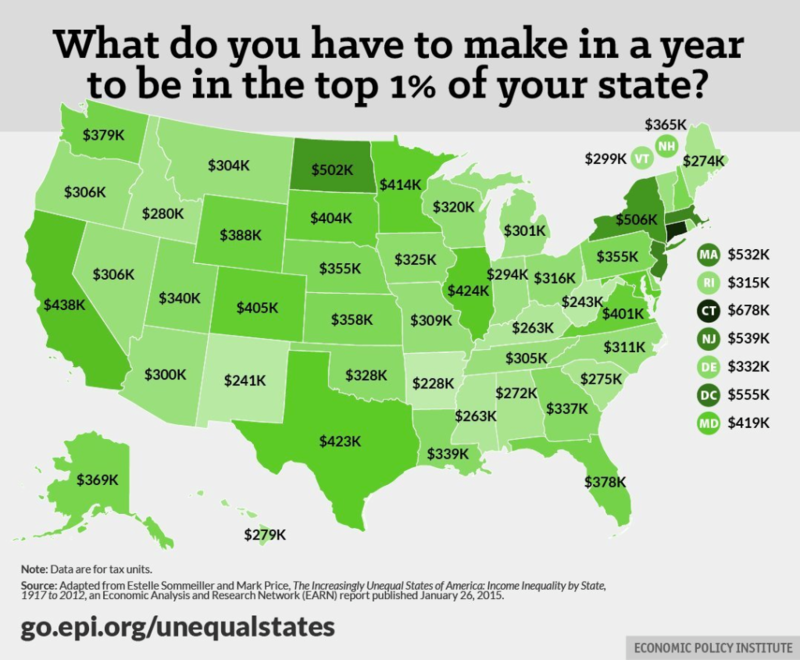 Are You in the Top 1% of Your State? – Avrick Consulting, Inc. This figure is per tax filing, or per household. The total amount taken into consideration is the combined joint income of both spouses.The amount it takes to be in the top 1% varies a great deal by state, so that’s really the best way to look at the data. In Arkansas, you need to earn $228,298 a year to qualify in the top 1%. In Connecticut, it takes earnings of $677,608. Avrick Consulting, Inc. is a marketing consultancy, with experience in using critical data, marketing strategy and proven creative concepts to grow businesses. For additional information, visitwww.avrickconsulting.com.